In this episode Ray is joined once again by Brian McLaren for a discussion about Brian’s newest book Naked Spirituality: A Life With God In 12 Simple Words. Brian shares about the four seasons of the spiritual life and helps us understand that, just as in a song, it’s not about getting to the end, but rather about getting the most out of each season we walk through with our Father. 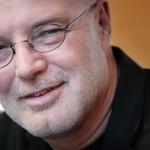 Make sure to visit BrianMcLaren.net and check out Brian’s book Naked Spirituality: A Life With God In 12 Simple Words. Thanks so much Brian for taking the time to share your insights and your walk with God with us! I listened 3 times, very good stuff! Thank you.